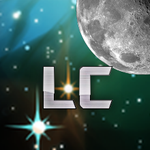 We created a completely new website for our new game Lunar Catch. It should be much easier to find all relevant info now and we have greatly simplified the registration form for the closed BETA. If the redirection does not work for you try this link (DNS servers should be updated shortly).